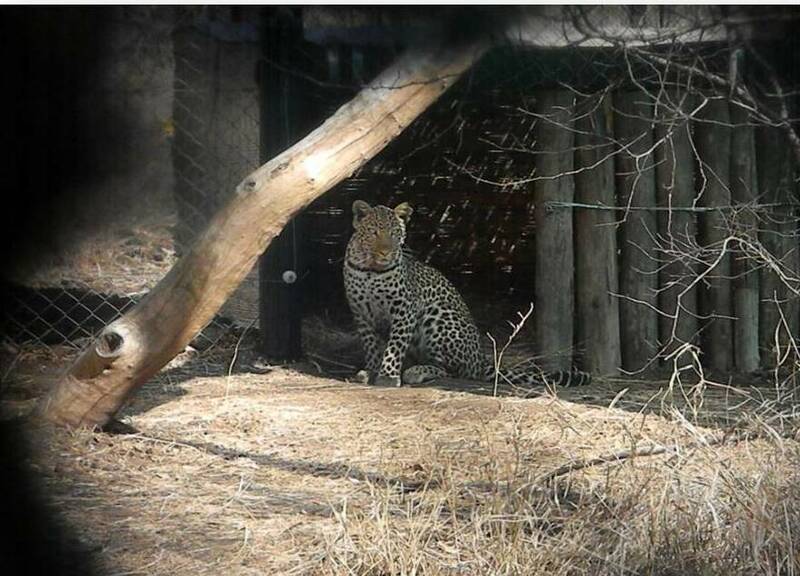 A pair of our leopards has officially been released in Malawi, with another 2 following by the end of this month. We are all anxiously following their movements by their GPS collars, they seem to be doing fine in their new home and we’ve been able to establish they both have made kills!. Sending our leopards to Malawi has raised many questions. With such abundance of leopards in the wild, authorities have been considering putting down the “problem” ones who are being pushed out due to territorial fights, as they seem to have a taste for cattle or expensive game. Facing this new problem we are grateful to be a part of this wonderful experience of being able to send leopards elsewhere. The leopards moved to Majete Wildlife Reserve in Malawi as part of a repopulation initiative started in 2003 by Dr Anthony Hall Martin, African Parks, Enviro Affairs and many others. In the 2003 the area of about 75.000 hectares had virtually no animals left. 30 animals were counted, this including duikers and warthogs. With a lot of community work they have now been able to make the community feel and care about these animals, as this new reserve gives employment to over 2500 people. The interesting thing is that the people that viciously protect the animals in the reserve are the same ones that nearly 10 years ago were poaching them. Having reintroduced more that 400 elephants, buffalo, sable antelope, 12 black rhinos, etc. it was now the turn for the predators. Only lions and leopards will be re introduced in the area as these are the ones that we have historical records of living in the area. They are looking to introduce 8 leopards and the lions will be only coming next year and so the project can be “finalized” in the term of reintroducing animals. It’s been a great success because we’ve managed to do our small bit and help reintroduce wildlife where humans had almost extinguished them, and this is makes us very proud!. As you may have realized our new logo has changed. Even if our image has changed, the star of it remains the same. Who is this bird in Moholo’s logo? Why is it so special you may ask? This bird is Queen our magnificent crowned eagle. When the Rehab began back in 1990 she was one of the “founding” animals that came along with Brian and Jenny from Natal. Queen was hand raised and trained as a falconry bird for 8 years after which she turned very aggressive. She killed 3 dogs and injured the falconer’s wife and 2 other falconers. After this she was confined into a small cage. She was rescued and brought to us around 26 years ago. Brian’s son took her over and he had such a knack with birds she followed him around even chirping like a chicken. Charles soon left for the army for a year and so Queen very offended turned to Brian who was now bringing her food every day and now took comfort in his company. As part of our awareness program we enhanced her choice and with the right permits and using the birds cainisim (killing of a nesting bird by a nest mate), we supplied her with fertile eggs taken from the wild, for her to incubate. She then raised 7 chicks; 6 of them were released into the wild and one of them was sent to a bird show in Cape Town. After this we decided to stop giving her fertile eggs as there is nowhere to put them back as their habitat is disappearing fast and there was the question of “will they survive”. After this she has laid another 7 infertile eggs and she’s currently on her 8th time. Since her eggs are infertile they rot and pop after 60 days of incubation. She is not only our logo, but also our species’ ambassador as she’s part of our awareness and educational program, travelling with us to many educational venues.